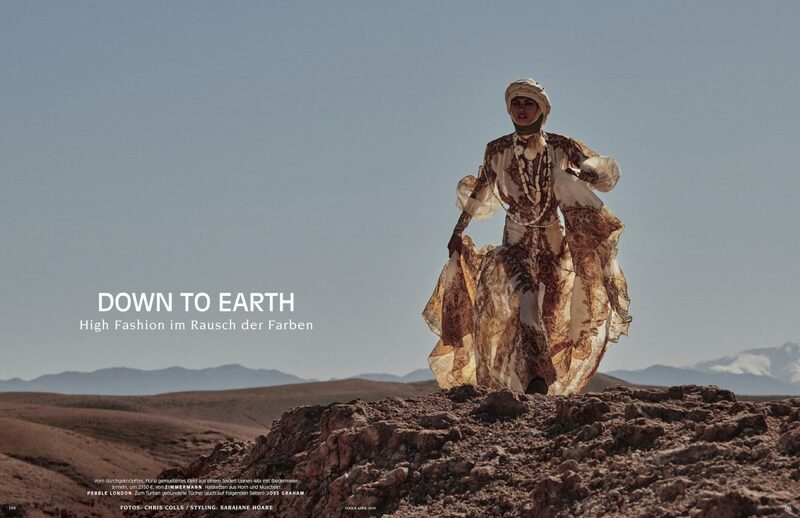 With the title “Down to Earth” VOGUE Germany dedicates a whole editorial story to pure simplicity by bringing together cultural heritage and contemporary fashion. Photographer Chris Colls captured model Birgit Kos in the heat of the desert – where tradition, nature and pure beauty join one another. 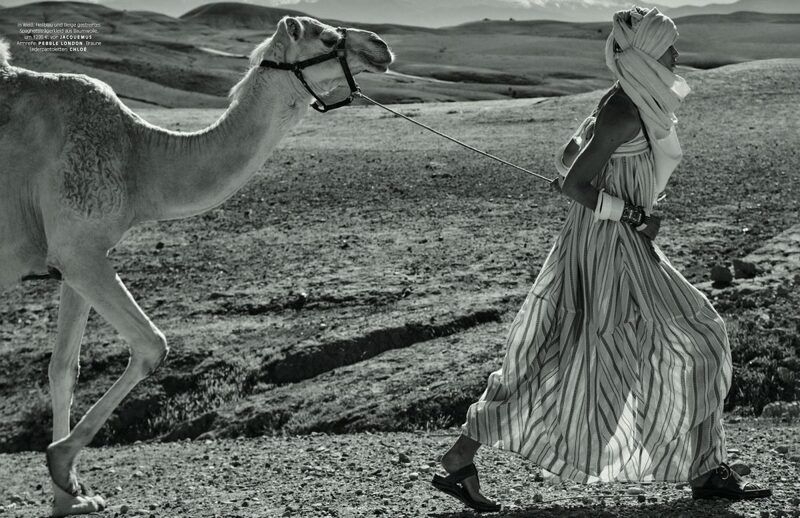 The Moroccan landscape with its bareness embodies the perfect scenery to tell a story of contrasts and modesty.